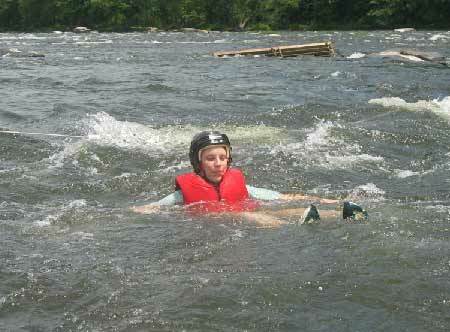 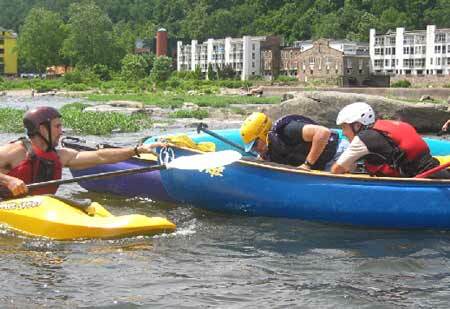 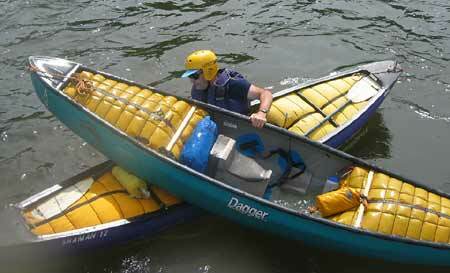 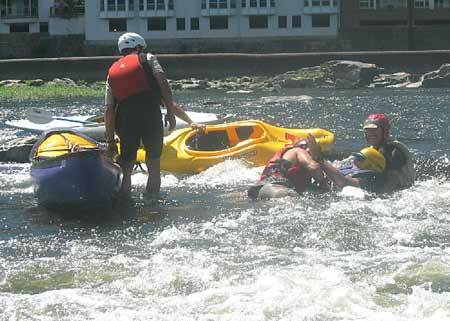 Swiftwater Safety Session on the Delaware River, below the Lambertville Wing Dam, July 19, 2003. 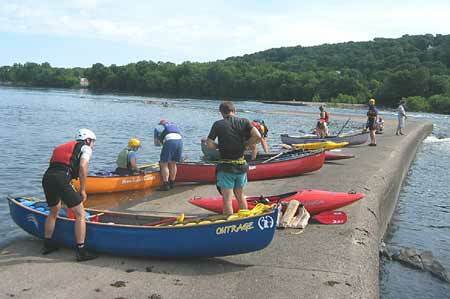 Sixteen paddlers participated. 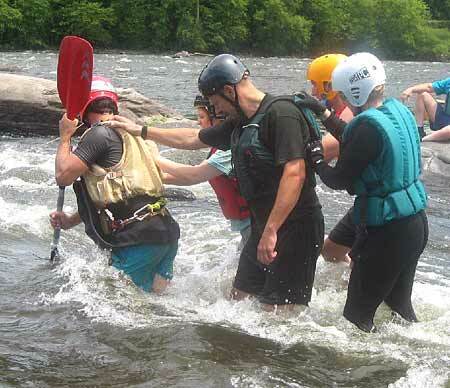 Skills covered included swimming rapids, line based and other land based rescues, boat based rescues, wading rapids, swimming strainers, and swimming lines. 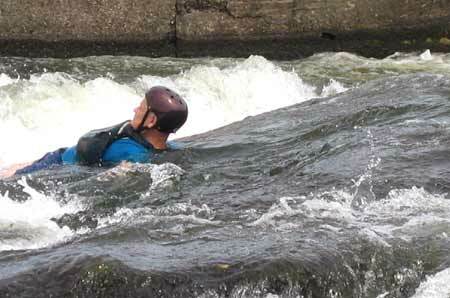 Four simulated rescues scenarios were held. 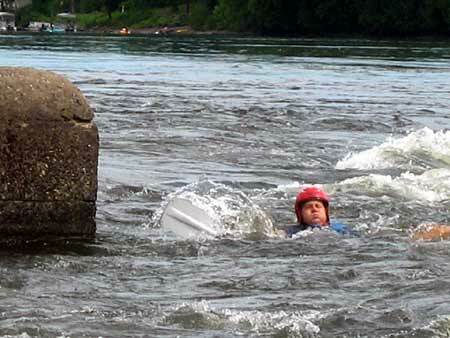 Eric Pavlak led the session. 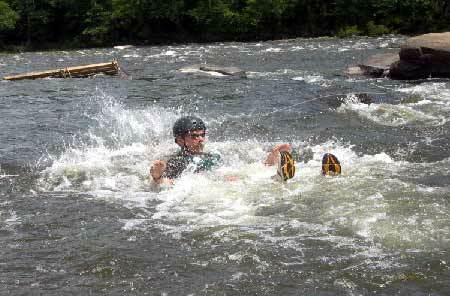 Wayne Albrecht took these photos.